A host of foreign ministers from Asia and Europe descend on Bangladesh Saturday for talks on the Rohingya refugee crisis that has left the impoverished nation reeling. An estimated 618,000 Muslim Rohingya have fled mainly Buddhist Myanmar since a military crackdown was launched in Rakhine in August, which the United Nations and watchdogs have said amounts to ethnic cleansing. The talks will discuss international support for Bangladesh, according to an EU statement. 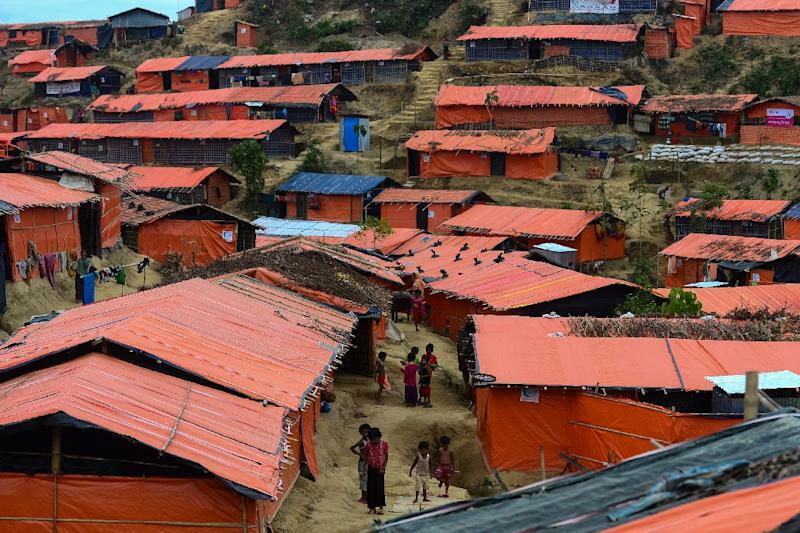 Bangladesh Foreign Minister A. H. Mahmood Ali will take his counterparts from Germany, Sweden and Japan, together with the European Union's diplomatic chief Federica Mogherini, to the border town of Cox's Bazar Sunday to see the camps. Dhaka has prohibited the Rohingya from leaving the camps, fearing an influx in its bigger cities. "It is hoped that the visit will garner further international support for the Rohingya community," said a Bangladesh foreign ministry statement. China's Foreign Minister Wang Yi is also arriving in Dhaka Saturday, although it is not clear whether he will travel to Cox's Bazar. China is a key ally of Myanmar, which has faced intense international pressure over the Rohingya violence. Asian and European foreign ministers are due to meet in Myanmar on Monday and Tuesday.